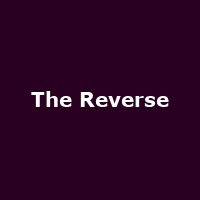 The Reverse are a North London-based lyrical indie/rock band fronted by Under The Influence host Nathan (Nat the Hammer) Loughran. Other members include Jason Moran, Kit Sam Kirr and James McKeown. They released three EPs: 'A Clean Incision' (2006), 'Shutterspeed' (2007) and 'My Lifelong Psychological Experiment' (2008). All of which were recorded and mixed by Graham Dominy (The Rifles, Razorlight, Ray Davies, Supergrass). Their debut album 'Kind Words For Cruel Times' was released in October 2013.